A few of the Assyrian activists, authors, media personalities, and political advisors who attended last Friday's Middle Eastern American Convention for Freedom and Democracy in Washington D.C.
Largest Ever Middle Eastern Christian Conference in D.C.
Mideast Christians Rally in D.C.
Lecture in SF: "International to State-Building"
Did you receive our email notification last week? If you did not, you have either not registered as a Zinda Subscriber or your information in our database is innacurate. 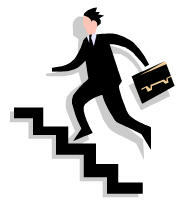 Last week we began a new service called Zinda Email Notification Service or ZENS. Using your address information Zinda Magazine will begin sending area-specific information- based on state/region/country - to your email. This way you will be kept informed of the cultural, religious, and political events taking place in your own community. To take advantage of this service please reply to last week's notification message with the information requested. If you are not a subscriber or did not receive our email notification, please email us at zcrew@zindamagazine.com and provide us with these simple bits of your personal information: First Name, Middle Name, Last Name, Street Address, City, State/Region, Zip/Postal Code, Country, Phone Numbers, and comments to Zinda. Here is an easy and professional way to provide your members with the latest information on the Assyrian communities around the world: Share Our Notification Messages with Your Members! To find out about this free service contact zCrew at zcrew@zindamagazine.com and ask for "ZENS for Our Members" program. Zinda Crew can even customize each notification to include your group's annoucements and updates. Zinda Magazine adheres to its strict policy of not sharing its subscribers' information with any other entity - Assyrian or non-Assyrian. You can be sure that your information is safe with Zinda Magazine and it will only be used to provide you with on-time and on-demand information. Send us your email today. Beginning this month Zinda Magazine will also be featuring new books and CDs at reduced prices for its subscribers only. To take advantage of this subscription benefit be sure to have your data updated today. On behalf of our teams around the world, I thank you for your continued support. Damn you Armenian infidel! Swore the teacher, and turned around to the board to continue teaching. The eighteen-year-old Armenian infidel just happened to be sitting next to a classmate whom he had never known but one that could not keep mute. Even at such an early age, Sabri stood courageously, and said: “excuse me sir, are you implying that all Armenians are infidels and if so, do you think that would be correct”? The fuming teacher turned to Sabri, slapped him for his audacity, and tried to ridicule him with discriminating and vulgar remarks but Sabri kept screaming defiantly: “you are a racist, and a fascist! This was not the first time that Sabri was confronted with such an injustice, and definitely not his first objection to the appalling tactics, of the dominant Turkification policy in Turkey. Before migrating to Istanbul, Sabri, like many Assyrians used to live in a remote Assyrian hamlet near Nesibin. As a result of Ankara’s Turkification policy the Assyrian name of this village was changed to an alien Turkish name. When Sabri first saw the signpost on the side road identifying his village by its new Turkish name, he escaped the strong grip of his mother’s hand, and ran forth bursting with anger, and tears: kicking the sign post with all the force a kid could source from his inner natural strength. After a while he sat down where he had successfully managed to knock the wooden signpost down, weeping, sobbing and whispering, “this is not the name of my village, why change something so beautiful”, as if he was in a deep and private conversation with humanity’s consciousness. Those that have known Sabri Atman will attest that nothing has changed in his character, not only he has devoted his life to help built a world based on justice and equality but he is perceived by many as a noble example of patriotism, and a man of principles. The more one gets acquainted with him the more one appreciates his beliefs. When it comes to the issue of Seyfo, many perceive him as a colossal bank of resources, information, and motivation. He has travelled all over Europe lecturing on Seyfo, meeting with both Assyrians and non-Assyrians, and government institutions to lobby for the recognition of Seyfo. I feel he has an agenda, which seems he was born to fulfil. He has a natural charisma that he is well aware of, and he exploits it to influence, and transform our youth into matured activists. He has successfully managed to form an ethnically diverse network of academics, scholars and activists, who share a common ideology and stand on the same platform advocating Seyfo’s recognition. I first came across Sabri Atman’s name in a progressive bookstore in Istanbul. On one of their top shelves, I saw two of his books called “Asurlar Suryaniler” (Assyrians Syrians) and “Mezopotamya Ozlemi” (I Long for Mesopotamia). I had not yet had the pleasure of his acquaintance or known that he was an Assyrian but it sure felt good to see books on Assyrians, in the heart of Istanbul. He has now completed his third book “59 Answered Questions on Seyfo”, and he is negotiating with various publishers for its release. This pioneering research will be published in English first and maybe in Swedish and Turkish later. Q: Why is it important for the Assyrians to work towards recognition of Seyfo? Many believe it is a thing of the past, and we should divert our concentration on other topical issues; which are of vital importance for our survival as a nation. If we were to study and analyse any particular phenomena, we will not be able to conclude with objective results, if the historical background and the environment that shaped its present form were not taken into account. All the challenges we face today as a nation that strives to survive another day, are direct results of Seyfo. Take the name issue for example or the fact of why we are living in the Diasporas at a time, when our heritage is being wiped out in our ancestral lands. We need Seyfo recognised and an apology for the suffering, and terror we continue to endure, not only for the sake of the Assyrians but also for the general interest of Turkey, its people and international peace. In today’s world, we all strive to assure that no genocides are perpetuated. But how are we to do that if those genocides of the past are not recognised and condemned. Remember: those who condone the past are condemned to repeat it. Q: What is Turkey’s official stance on the Genocide issue? The official ideology denies that such atrocities ever took place. The right wing extremists simply ignore the facts and propagate an absurd theory to back up their denialist manipulations. Then there are the so called liberals, this group does not go further than labelling Seyfo as a tragedy without any present relevance, and one that must be left for historical research. Their usual maxim is: the Ottomans perpetuated Seyfo, and today’s Turkey should not be held responsible for those terrible actions taken during that phase. But they can not simply wave the responsibility off to the Ottomans. Many prominent members of the Committee for Unity and Progress (1) like, Mustafa Kemal, Ismattin Ono and Jalal Bayar later became the founders and vanguards of today’s state of Turkey, these individuals were tremendously proud of Turkey for being an extension of the Ottoman Empire. Turkey has inherited all the wealth and riches amassed by the Ottomans through the annihilation of the Assyrians, Armenians and the Greeks, and by confiscating their property and holdings. If the state of Turkey can so easily disassociate herself from the actions taken during the era of the Ottoman Empire, then Turkey should also not inherit the riches which were seized during that period of her history. Only a minority are ashamed of this epoch of their country’s history. They address the issue coherently, and earnestly. They are not afraid to voice their opinions both in and outside Turkey. Although this persecuted minority are few in number but we must respect their heroic actions. We must liaise with this group, and help Turkey to come to terms with her past. Only then, and then only, will Turkey be able to step towards true democracy. 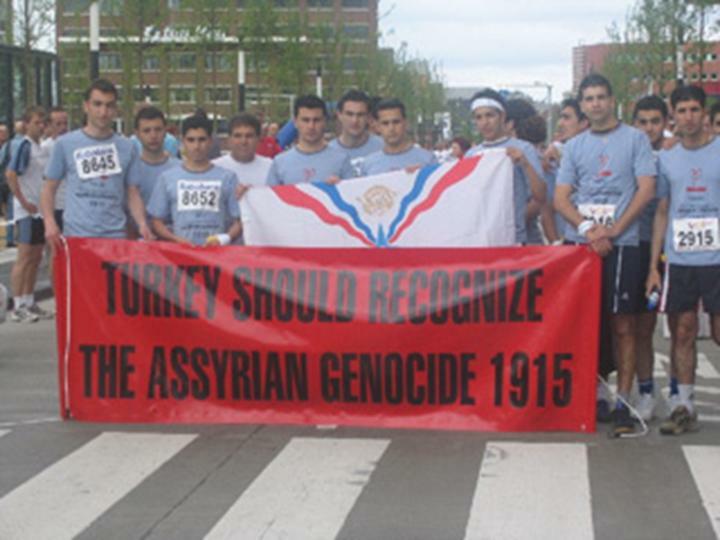 Q: Why do you think the Armenians ignore Seyfo, and always portray the genocide of 1914 as that of the Armenians only? And how do you think we should promulgate Seyfo in light of such denial from our co-victims? First of all, two wrongs do not make one right, I do not agree with some Assyrians who believe, we too should do the same. Nobody who has researched the Genocide, and is genuine and sincere, can deny and ignore the fact that we all: Armenians, Assyrians and Greeks shared the same terrible fate. Yes it does hurt when we read books and articles written and published by certain Armenian scholars, who would have certainly come across some documents on the Assyrians. Yet, not only do they ignore them but they also deny them a sentence or two. However, we must understand this is not the mentality of all Armenians. 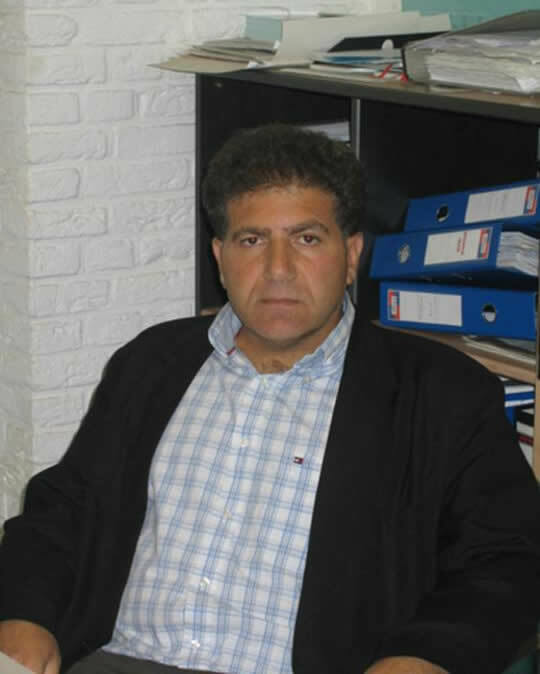 For example, Mr. Ara Sarafian who is a renowned academic, and the director of Gomidas Institute, and Sterndale Classics (2), has reprinted “The Treatment of The Armenians Under The Ottoman Empire” which is often called “The Blue Book” inclusive of the segments on the Assyrians, which by the way were excluded from some editions. A few months ago, together with some friends, we tried very hard to have an opportunity to meet with some Dutch members of parliament. When we finally met with these parliamentarians, I spoke of Seyfo, as the genocide of Assyrians, Armenians and Greeks. Yet, the second morning I read in a certain Armenian news bulletin which enjoys a large circulation: that the Armenian genocide had been debated in the Dutch parliament without any mention of the Assyrians, or the Greeks. Of course it hurts, I mean I was an Assyrian, I could have debated the genocide as that of the Assyrians only but knowing this would not be ethically, and morally right, I mentioned the Armenians and the Greeks also. I mean the least the editors of this particular Armenian news bulletin could have done, is to have mentioned the Assyrians once, at the very least in their article. Once again I remembered an incident I read about which had taken place in Diyarbakir during the genocide. The army had gathered all the villagers to be massacred and their women and children deported. The soldiers were mocking a particular Assyrian priest with a peculiar barbarity. The crowds protested but they were beaten and told: if you want to put an end to this episode, then one of you must sacrifice his life to save this priest of further ridicule. Yes, it was an Armenian who stepped forward to save this Assyrian clergy. We should not forget such a stance or that of Mr. Murad Artin, a Swedish parliamentarian of an Iraqi-Armenian descent, who brought the case of the Assyrian genocide to the fore in the Swedish Parliament. Q: Do you think that our political parties, institutions and organisations are doing enough when it comes to Seyfo? Many have done a lot but not enough! An annual event does not suffice to gain recognition. Most of our organisations forget all about Seyfo, and only remember it when they draw near to the 24th of April, and most of their initiatives do not seem to be pre-planned. This simply does not give us any credibility. We lack proper documentations, we know they are there we just have to source, and present them to the public and the international bodies. If we are truly serious about Seyfo, we must work harder in rendering our research, and influencing the world opinion. It can be done it is not impossible; we just need to be more committed in our cause. I believe that there has been tremendous progress during these few last years, especially amongst the youth, and this is a sign of a natural phenomenon. The first generation of the Holocaust survivors for example, were too traumatised to do anything about what they had suffered. Their children, however, struggled for its recognition. Hence it is the responsibility of our youth who have inherited the suffering of their parents and grandparents to confront this issue of paramount importance. 1. Ittihad Ve Terakki: the then ruling government and the architects of the Assyrian, Armenian and Greek genocide. Largest Ever Middle Eastern Christian Conference in Washington D.C.
(ZNDA: Washington D.C.) Christians from the Middle East and throughout the United States participated Friday, 1 October in the "Middle Eastern American Convention for Freedom and Democracy." Organizers dubbed the event "the largest Christian Middle Eastern American event ever organized in the USA." According to a press release issued before the event to be stressedduring the meeting was the importance of assisting the nearly 2.5 million Assyrian Christians in Iraq who have seen 40,000 of their own leave Iraq in recent days. According to a press release by meeting organizers, these individuals are being terrorized daily by radical Moslem elements in the country in spite of strong support from the Iraqi Government and multinational forces on the ground. A convention spokesman said in a news release, "In the space of a generation the non-Moslem population of the Middle East has gone from nearly 20 percent to now under two percent. The community not only wants to see democracy and freedom come to the region, but to see the historic balance in the Middle East restored (as) this imbalance is the true cause of the problems in the Middle East. "A Middle East with its original and vibrant communities of Christians, Jews and many other non-Moslem faiths as well as those without faith," the spokesman added, "is the only long term solution to the crisis in the Middle East." According to a spokesperson,"In contrast to common understanding, Americans of Middle Eastern descent are 76 percent Christian, reflecting the continued persecution of non-Moslems in the area. As a voting bloc they comprise a large and vibrant community with deep roots in this country." This convention was organized by a number of Middle Eastern Christian Organizations including The Assyrian American National Federation, U.S. Copts and the American Lebanese Coalition. These groups, a press release stated, "want to take the lead in stating clearly their position on the war on terrorism, fanaticism and stand with those who love freedom and democracy." According to organizers, a major goal for the meeting would be to "challenge organizations in the U.S. who have been falsely claiming to exclusively represent the opinions and aspirations of all those of Middle Eastern Ancestry as Moslem. Only a small percentage actually are Moslem, with the overwhelming majority of Americans of Middle Eastern Ancestry in fact Christians, including Copts, Maronites, Assyrian Christians and others. Modesto, California and Chicago, Illinois have large concentrations of Assyrians." The Convention planned to conclude with a letter to President Bush and the U.S. Congress expressing support for the position of Christians and other minorities in the Middle East, as well as those who "favor freedom and reject terror." Also on the agenda was avote of thanks to the families of the "1,000 brave young men and women who gave their lives for the liberation of Iraq - something that has not been said clearly by this community." (ZNDA: Washington D.C.) American Christians of Middle East origin gathered in Washington on Friday to help dispel common misunderstandings, emphasizing Muslims comprise less than one quarter of the people in the U.S. from that region. Organizers of the Middle Eastern American Convention for Freedom and Democracy, the largest event of its kind ever organized in the U.S., assert the fact that 76 percent of Americans of Middle Eastern descent are Christian reflects the continued persecution of non-Muslims in the area. In just one generation, the non-Muslim population of the Middle East has dropped from nearly 20 percent to under 2 percent. "The community not only wants to see democracy and freedom come to the region but to see the historic balance in the Middle East restored, seeing this imbalance as the true cause of the problems in the Middle East," the organization said in a statement. This convention was organized by Middle Eastern Christian organizations, including the Assyrian American National Federation, U.S. Copts Association, American Lebanese Coalition and American Middle-East Christian Association. The groups said they want to "take the lead in stating clearly their position on the war on terrorism, fanaticism and stand with those who love freedom and democracy." They challenge organizations in the U.S. who have been "falsely claiming to exclusively represent the opinions and aspirations of all those of Middle Eastern ancestry as Muslim." The convention concluded with a letter to President Bush and Congress, declaring support for freedom and rejection of terrorism. The letter thanked the families of the "1,000 brave young men and women who gave their lives for the liberation of Iraq – something that has not been said clearly by this community." The groups highlighted the urgency of assisting the 2.5 million Assyrian Christians in Iraq who are being terrorized daily by radical Musilms. About 40,000 already have left Iraq. On October 6, the EU will publish a report evaluating Turkey’s latest reforms in order to assess whether or not the country qualifies to the EU requirements. Whilst recent improvements of the Turkish government have been widely praised, little attention has been paid to the issue of practical implementations of the legal changes, which, reasonably enough, require a process of time before passing a fair judgement on the Republic. In principle, the Syriac Universal Alliance does not reject the idea of Turkey becoming a full EU member state. On the contrary, we even acclaim this notion under certain conditions. Second, it is incongruous that the indigenous Syriacs officially are still not recognized and it also proves how little has been changed as regards the question of human rights and minority rights in particular. It is known that because of this negligence, the Syriacs never enjoyed any rights at all, have experienced discriminations and their primary needs continue to be ignored. Third, as the majority of the Syriacs have migrated from their ancient land, due to worsened circumstances and/or persecutions, lately some of them willing to return have faced several difficulties. The main impediments are the lack of safety measures, the presence of malicious village guards and the poor socio-economic conditions in the Southeastern regions of Turkey. Verily, Western countries have granted Turkey billions of dollars of financial aid over the past decades. Yet, as the Syriac people and their Aramaic heritage are an essential part of Turkey, which gives Turkey the inevitable duty to sustain this ancient people, the Syriac Universal Alliance regrets the fact that the Syriacs have never received any substantial monetary support from Turkey to protect their unique national heritage (e.g., through education). Nor has the Turkish government seriously invested in Southeast-Turkey – in antiquity the illustrious habitat of various Aramean principalities and later on a bulwark of Aramean Christendom. We cherish little hope that after Turkey’s nearing entry, our appeals will ever be honoured. Since patience is a virtue, the Syriac Universal Alliance recommends that Turkey’s period of assessment can plausibly enough be prolonged by the EU for another five years. Thus, Turkey can seriously prove whether or not its latest reforms will have any practical impact and if the Republic of Turkey earnestly aspires to share the moral values of the European community. of a certain political ideology that should be kept separate from this charitable § 501(c)(3) organization. During the Democratic era, under Clinton’s administration, he bombed Christian Serbs in favor of Albanian terrorists, disregarded the ethnic cleansing of the Assyrians in Iraq by Saddam, and rejected the Assyrian, Armenian, Hellenic (Greek) Genocide of 1915. If the current president of the AAS is a Democrat, that’s his business, but it should not intervene in the charitable stance of the organization because it should not be ticketed under a certain political group. According to § 501(c)(3), Corporations, and any community chest, fund, or foundation, organized and operated exclusively for religious, charitable, scientific, testing for public safety, literary, or educational purposes, or to foster national or international amateur sports competition (but only if no part of its activities involve the provision of athletic facilities or equipment), or for the prevention of cruelty to children or animals, no part of the net earnings of which inures to the benefit of any private shareholder or individual, no substantial part of the activities of which is carrying on propaganda, or otherwise attempting, to influence legislation (except as otherwise provided in subsection (h)), and which does not participate in, or intervene in (including the publishing or distributing of statements), any political campaign on behalf of (or in opposition to) any candidate for public office. Pay attention to the last lines of § 501(c)(3) in order to understand that charitable organizations should not intervene in political matters. It is unfortunate to see Assyrians tilting toward the Democratic side so sharply, when the Republicans are doing all they can in support of the Assyrian nation. When the well is dry, you know the worth of water. It was not United States Congresswoman Nancy Pelosi (D) who promoted Assyrian awareness in the U.S. Government, but it was United States Congressman Henry Hyde (R) on April 25, 2002, when he wrote a letter to the Assistant Secretary of State for Near Eastern Affairs, William Burns. .
How long will it take for us to support those who support us? Why do we have to run after those who simply disregard us as a nation? Why do we listen to the endless promises that are never kept? Promises won’t butter any bread. It has continuously been the Republicans who have chased after our rights to help us protect them in Iraq along with the ADM. Stop distinguishing the AAS as a certain political group, but rather have it open to all political ideologies. Remember, a bad broom leaves a dirty room. Lecture in San Francisco: "International to State-Building: A Panel Discussion"
Efforts at state building in Afghanistan and Iraq are just the most recent in a long line of international efforts to assist countries emerging from war and other civil disturbances such as East Timor, Lebanon, Haiti, or South Africa. How do these recent efforts compare and are there parallels in what we currently are facing to other experiences? What can we learn from US and UN engagements in these nations? Can democracies be crafted in these and other countries by international institutions and foreign advisors and how effective have the efforts been so far? How do questions of security balance against those of state-building in the aftermath of war? Can international institutions play a role and if so, what kind? On what foundation can a new government in Iraq gain legitimacy? The panel of experts will consider both the problems and the prospects for the future. (ZNDA: Princeton) Four Princeton Theological Seminary faculty members and Sister Olga Yaqob, a peace activist from the Assyrian Catholic Church of Iraq, will lead a teach-in about the war in Iraq here on Oct. 14 at 7:30 p.m.
Professors George Hunsinger, Deborah van Deusen Hunsinger, Peter Paris, and Mark Taylor will speak, and two seminary students will perform music. In 2002, Yaqob was sent to the United States by her bishop in Iraq to study spirituality and pastoral ministry at Boston College. She had worked and lived among the poor in Baghdad - both Christian and Muslim - and visited Abu Ghraib prison regularly to pray with prisoners. After four years of ministry there, she began her own community of religious - the Missionaries of the Virgin Mary, the Assyrian Catholic Church's first new religious community for women in 700 years. George Hunsinger believes discussion of the situation in Iraq is of utmost importance as the U.S. approaches the presidential election. "Iraq is sliding into chaos and civil war, and the insurgents control the countryside and many cities," he says. "A growing consensus exists that the current U.S. military strategy is hopeless. The administration claims that it has suffered 'no tactical defeats' in Iraq and is actively discussing plans to widen the war into Iran and Syria in a second Bush term. If that happens, a draft will have to be revived." Mark Taylor points out that the "U.S. media rarely air the voice of Iraqis themselves. Yaqob's voice is a much needed one today, rising from her firsthand experience of the U.S. bombings of Baghdad and from her family's and friends' suffering and hope amid war and occupation." Yaqob wants to tell Americans that there are many people in her homeland without beds, food, water, or education. "I beg you today as a people of peace to try to educate your nation," she says. "It is time for new insight. We need peace, we need love, we need to see God in each other." For more information, call Michelle Roemer Schoen at 609-497-7890. The late 8th and 7th centuries B.C. brought about what has been described as a "revolution of wisdom" due largely to teh scholarly interests of the Assyrian king Assurbanipal (668-627 BC). The Imperial Archives of Nineveh (Assurbanipals's Library), preserved for us at his capital, a large collection of therapeutic texts. Another substantial archive, also Neo-Assyrian in date, was found in a private house excavated at the original capital of Assyria, the city of Assur. The practice of medicine in ancient Mesopotamia had aan organization that is similar to theat of modern medicine. A team appraoch to patient care was evident, with the asipu (the equivalent of modern physician) primarily responsible for diagnosis, an the asu (the equivalent of a modern pharmacist) for collecting and compounding the components of medicines. Publication of this book is made possible by a gift from Dr Norman Solhkhah, PhD of Chicago and Dr. Vallo Benjamin, MD of New York, and the kind generosity of many Assyrians in the United States. To pre-order a copy or for more information contact Dr. Norman Solhkhah at Assyria95@aol.com or call 847-699-9000. On Sunday evening, some forty Assyrian poetry enthusiasts in San Jose, California were treated to some of the best modern Assyrian poetry works written in the past few years. Rabbie Hannibal Alkhas, who is better known for his paintings as an accomplished artist from Iran and Rabbie Ben Melco of Modesto, California read their own poems as they took turn moving from one general topic to another. Rabbie Alkhas began with his poems for children, effortlessly moved to the rights of the minorities and women, and then teased his audience with poetries of love and romance. Rabbie Melco ventured deeply into his nationalistic poems and at times entertained his emotional audience with lyrics of passion and love. The room was lit with soft candlelights and there was plenty of wine and cheese to warm the hearts and minds of the satisfied listeners. Rabbie Hannibal Alkhas is the son of the late Rabbie Adai Alkhas, famous for his "Gilgamesh" magazine in the late 1950's in Tehran, Iran and his translation of the Epic of Gilgamesh from the original writing to modern Assyrian (Syriac). Rab. Hannibal is also the nephew of John Alkhas, one of the most loved Assyrian poets of the 20th century. Rabbie Hannibal was born in Kermanshah, Iran in 1930. He teaches at the Azad University in Tehran and is visiting the United States along with his wife, Anna. Later this year, the Sabah Museum of Contemporary Arts in Tehran will be holding a celebration of Rab. Hannibal's 60-year dedication to art and poetry. Rab. Hannibal's translation of one hundred "Ghazals of Hafiz" will be published early next year. Rab. Ben Melco was born in Beirut, Lebanon in 1940 to a father who served in the Assyrian Levies. He has written several Assyrian plays and works of poetry. In his laterst work, The Epic of Mesopotamia, Rab. Ben Melco writes about the liberation of Iraq. This collection of poetry is recorded on two CDs. Read Zinda for information on Rab. Hannibal Alkhas and Rab. Ben Melco's future appearances and sale of their books and CDs. Sunday evening's event was sponsored by the Assyrian American Association of San Jose.